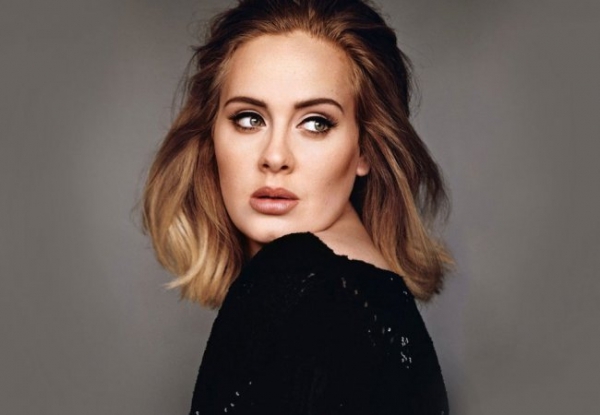 Adele is simply brilliant - she has a sensational voice and she really deserves all the success It is great to see her at the top of the charts again with her new album '25'. As a Brit, I am intensely proud of her incredible worldwide success. It's so easy to look back at some of the other great British singers, everyone from Shirley Bassey to Judie Tzuke, and complain that 'they don't make them like that any more' - but it's not true. Along comes someone like Adele and proves that real, new talent is still coming from that small island in Northern Europe! It is interesting that despite her incredible talent as a singer, Adele originally planned to go into A&R and help to find and develop talent for record companies. Thank goodness that she was discovered by someone and that we have an opportunity to hear her sing. Adele Laurie Blue Adkins was born in London, England in 1988 and she attended the BRIT School for Performing Arts, graduating in 2006. She recorded a demo which was posted on Myspace and led to her being discovered by XL Recordings who signed her up. In 2008, her debut album '19' was released and was number one in the U.K. charts. By 2009, she received an award as 'Best New Artist' at the Grammys. In 2011, Adele released her second album '21' which hit number one in 26 countries. Can you believe that '21' was the biggest selling album of the 21st century! In 2015, Adele released '25', the third album in a trilogy - and delivered a record breaking performance. The lead single from the album 'Hello' was the fastest video to hit one billion views on YouTube. 'Hello' is such a great song. '25' was the fastest selling album in U.K. history, selling over 800,000 copies in the first week. At the Grammy Awards in 2017, Adele won all five of her nominations; Album of the Year and Best Pop Vocal Album for 25, and Record of the Year, Song of the Year and Best Pop Solo Performance for "Hello". She also performed a tribute to George Michael and due to technical difficulties which occurred during the performance Adele decided to stop and restart, explaining "I can't mess this up for him". Adele has a child with her husband, Simon Konecki.